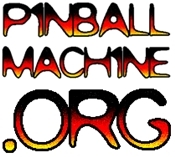 Is Virtual Pinball Going Prime Time? Found this video today. The cabinets certainly are slick. Can we expect to see these in arcades at some point? Or is it just an elaborate art project? EDIT: I found more info. I think these are probably for some sort of promotion for a company called eTorQ.